Accepting that you or a loved one needs help walking safely can be difficult. The first hurdle is usually emotional; feeling like using a device means giving up independence. 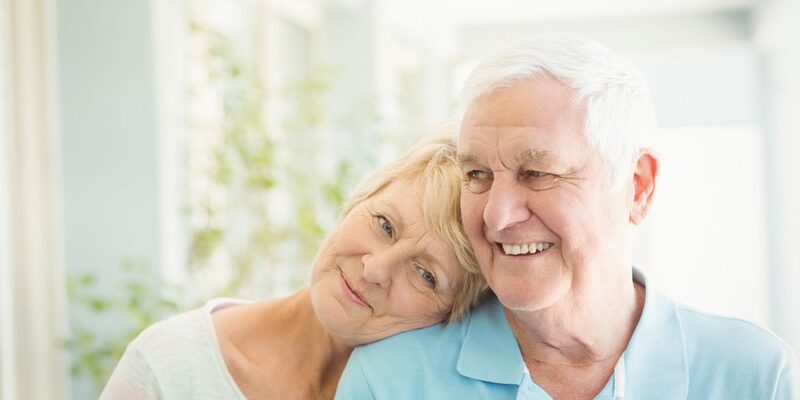 Many people actually find it is just the opposite—that they feel more secure because their chances of falling are reduced, and they can be more independent because they don’t have to rely on another person to help them get around. The second point of difficulty for many people is simply a lack of knowledge. There are many devices on the market, but most people are only familiar with one: the standard 4-legged metal walker. In years past, this may have been the only option available, but today the standard walker is only the very tip of the iceberg and most people will end up with something different, often a rollator. What’s the difference between a walker and a rollator? The main difference between a walker and a rollator is that a walker is simply a handled frame with legs, while a rollator has three or four wheels and handlebars with hand-operated brakes. In most cases, a healthcare professional will recommend the right device based on a patient’s needs. In general, rollators, because of their wheels and agility, are best for people who are able to walk, but need help with balance and stability, or who fatigue easily. Most rollators also have a basket option, so they can be used to carry a purse or other items, and many have a built-in seat. If a person cannot bear weight on one or both legs (for example, after a hip replacement or other surgery) but is otherwise mobile enough not to require a wheelchair, a walker is generally the right choice. Walkers are also usually smaller than the smallest rollator, so a person who regularly uses a rollator may also choose to have a walker to use in narrow spaces in the home, such as a small bathroom or walk-in closet. What kinds of walkers are available? 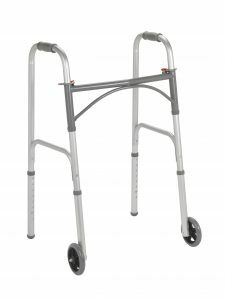 The standard walker is a simple and lightweight design without wheels, so it is stable enough to bear significant weight. Walkers are also available in 2-wheel versions, which can be used by a person who doesn’t need quite as much support but is not stable or agile enough to use a 4-wheeled rollator. 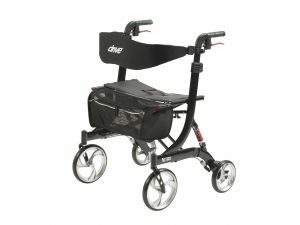 Both types of walkers are available in folding and non-folding versions, and many can be adjusted to suit users of different heights. See the full selection of walkers here. What kinds of rollators are available? Rollators come in 3-wheel and 4-wheel styles. Both are available with different wheel sizes, with larger wheels being more durable and stable on rough surfaces, especially outdoors. A 3-wheeled walker is usually narrower and can be easier to maneuver in tight spaces. A 4-wheeled walker adds more stability and a seat, so the user can rest at any time. Some 4-wheeled rollators are heavy-duty bariatric models for overweight users. A great advantage of rollators is that they can be fitted with a number of convenient accessories so users can have their needs met while on the go. These accessories include IV poles, oxygen tank holders, baskets and bags for carrying personal items, cup holders, and even a forward-facing light to help in dark spaces. See the full selection of rollators here.